OPEC is making life difficult for itself. The cartel has pushed its oil production to a new record even as members prepare to implement key output cuts in the new year. OPEC pumped a record 33.9 million barrels a day in November, according to its latest monthly report. That's up from 33.7 million barrels in October and far above the 32.5 million barrel production target for January. In November, OPEC agreed to a production cut that had been promised for months. The supply cut is scheduled to begin Jan. 1. 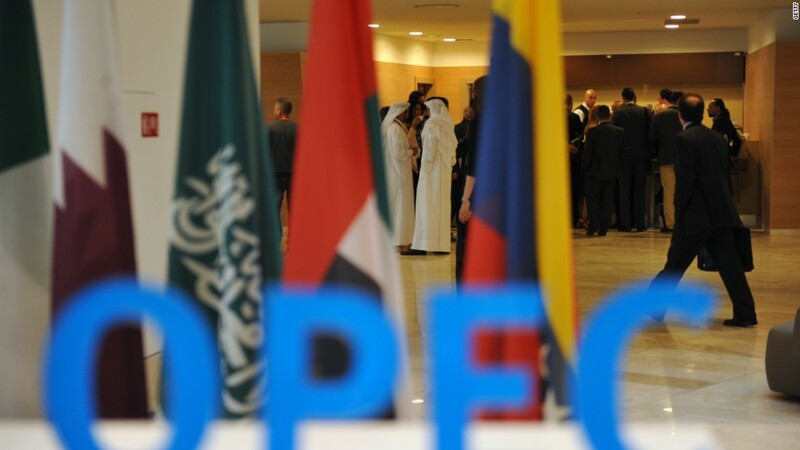 Sticking to the deal is crucial if OPEC wants to see higher oil prices. A global glut of oil supply caused prices to crash over the past two years, as the world's biggest oil producers refused to cut production in order to defend their market share. At the time, the group agreed to cuts using output from October as a benchmark. Because production has since increased, OPEC will have to execute deeper cuts to meet the agreed upon levels. The group's latest data show that Nigeria and Libya increased production by a combined 110,000 barrels a day in November. Both are exempted from cuts because of armed conflict. Venezuela, which is in the midst of an economic crisis, also pumped more. It had agreed to slash production by 95,000 barrels a day, but will now need to cut 125,000 barrels in order to reach its target. The stakes are high: Since striking the deal, OPEC has secured commitments from other major producers -- including Russia, Mexico, Kazakhstan and Oman -- to also slash output. The collective action helped push prices to a new 2016 high above $53 per barrel on Monday. U.S. crude futures have since retreated to trade near $52.30.